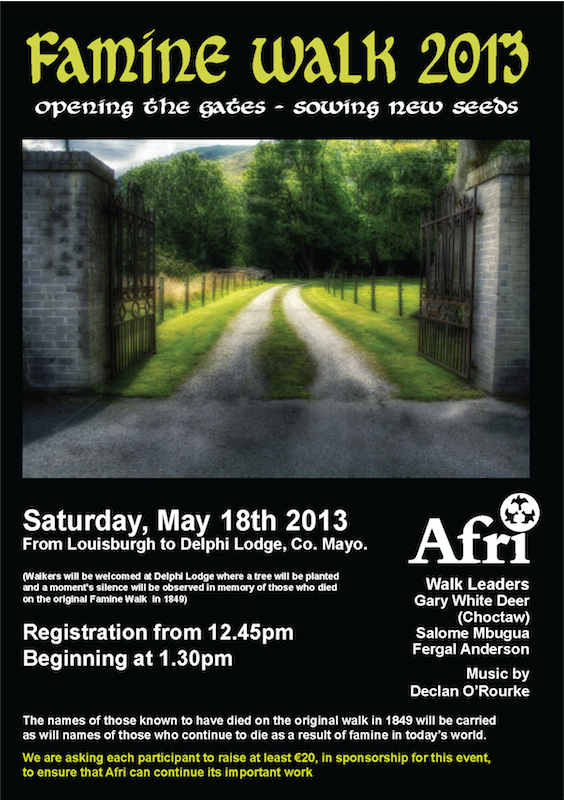 On Saturday 18th May, 165 years since the Great Famine year of 1849, the annual Afri Famine Walk will finally be welcomed through the gates of Delphi Lodge to a symbolic and respectful reception. The occasion will be marked with the planting of ‘’Symbols of Life’’ – a tree and potatoes. 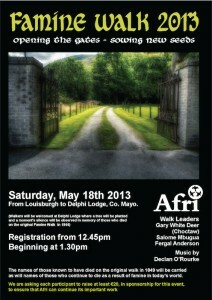 Now as we welcome guests from all over the world and are privileged to extend a genuine Irish hospitality to so many. Now is the time to finally and symbolically open our gates to the names of those who perished in those terrible times. Lorna Siggins covers all in her recent article in the Irish Times.